Awatea Films - 96 min. Cast: Anzac Wallace, Eva Rickard, James Heyward, Susan D. Ramari Paul, Sonny Waru, Rangimarie Delamere, Willie Raana, Geoff Murphy, Don Selwyn, Temuera Morrison. Rewi returns to a small country town (Te Kaha). He is deeply troubled by something mysterious in his past. He cannot bring himself to form a relationship with the woman he loves, even though his feelings are reciprocated. The truth is that Rewi is not who he pretends to be. He had been involved in serious crime, but had escaped. He had picked up a hitchhiker, the real Rewi, and after a car accident had resulted in the death of the hitchhiker, took over his identity. He is pursued by the ghost of the dead man. 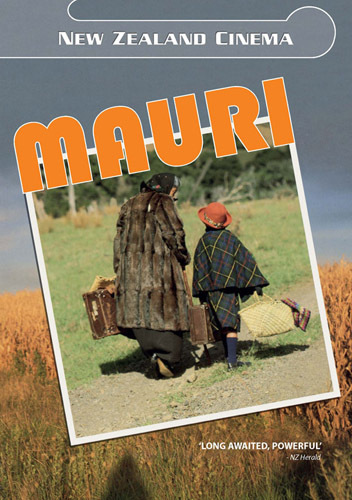 Mauri was the first full-length feature to be made by a Maori woman, and the first entirely from a Maori perspective. 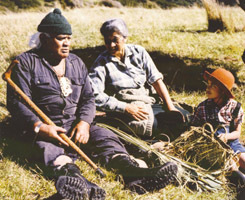 Beautiful cinematography with a soundtrack that uses traditional Maori instruments. Although it was available on pal vhs, it has been OOP for many years. There are no NTSC versions. As of 25 August, 2010, it is available on R0 PAL DVD, from NZ sources, for $10-15nz. It is presented in its original 1.33:1 format with a 2.0 stereo English soundtrack. There are no subtitles or extras.